What are all the Order Queues used for? Your 3dcart store comes equipped with a various amount of order processing queues with which to process orders. 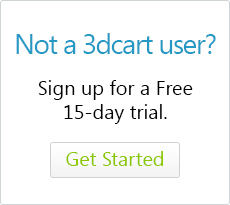 When an order comes in through your 3dcart store, it will normally be placed in either the "New" or "Unpaid" status depending on how your payment methods are set up. However, there are several other queues created for your benefit which may help you with general order processing. Below is a brief summary and explanation of each order processing queue and how they can be used. Most of the time, orders placed in your store will go into this status queue. When processing orders, this should always be the first queue you go into. When viewing an order in this queue, you will be presented with all of the relevant data on the order. Along the top middle of the invoice, you can edit the order's status and place it into any of the other available queues. When you change the invoice's status, you can also select "Notify" to automatically email the customer of their order's progress. This queue can be used to designate which "New" orders have been looked at and are in the process of being completed. This can be useful if you have a team of personnel established for your order processing and you want to use this status as a way of notifying them which orders are safe to process. In some cases, you may have out of stock items and the orders can only be filled partially until stock is replenished. This queue can be used as a way of classifying these orders and have them located in a convenient area. When an order is processed to its fullest, and the products are shipped, you would move the order to this status and notify the customer. Your customer would then be sent an email notifying them of their order's status. If for any given reason the order needs to be canceled, you can place the invoice in this queue. This will nullify the order completely. Please be aware that after an order is cancelled, its status cannot be changed again. This queue can be used when you need to place the order on hold for a particular reason. For example, in a case of check or money order payments, you may need to designate the order as being "on hold" while you wait for the check/money order to clear. There is also a final order status queue that comes into play - Not Completed. This is a queue where your orders will be placed if items are placed into a cart but never fully go through the entire checkout process. Many shopping cart providers do not allow access to view uncompleted orders, but we feel these orders can be useful in determining any possible issue that may arise during your customer's checkout experience. For more information on how you can use Not Completed orders, please see our article here. The above examples apply when you are manually processing the orders - meaning that you are clicking on each order individually, and changing its respective status one at a time. Another way of updating invoice order status is to use the Batch Action tool. When viewing a particular status queue such as "New" you will see a listing of all your new orders. To update status on all or multiple orders, simply mark the check box to the left of each order and set the status with the Batch Action selection at the bottom of the page. Click apply to make the changes final. When manually changing the order's status you can use the "Notify" check box next to the invoice's status to email your customer about the change in their orders' progress. When you check this box, and save the invoice, the system will email the customer at the address they provided during the order. During a batch action status update however, the notification will only be sent if you have that order status selected in the General Store Settings area. For example, if you use the Batch Action to move several orders into "Shipped" status, the email notification will only be sent if you have the "Shipped" status designated as one of the status queues to generate an email. To check for this, please go to Settings ->General ->Store Settings and click on the "Checkout" tab to view the area's Email Settings section.